I missed last month's "favourites" post due to my long holiday. Since then I have accumulated some new favourites. Europe is a very beautiful place. Each city has its own characteristic and the city I loved most is Antwerp in Belgium. So far, I've only been to a handful places in Europe, there may be other cities that are prettier than Antwerp, I do not know. I can't speak on behalf of other cities, I'm sure Venice and Strasbourg are very beautiful as well. I love Antwerp because of the architecture and how the old and new amalgamated in a very cohesive way. Will blog about this beautiful city soon. This is one of my snatched items from the Harrods Boxing Day sale, except that it wasn't in the sale category. I like this bag because of its practicality. It fits my phone, purse, lipstick, power bank and keys. The size is just right for all the things I need to carry. The style is so timeless it fits every outfit that I wear. I also want this in red, which gives a pop of colour when wearing monochrome. At £725, I think it is worth it since the bag is full leather. My new year resolution is to become more Parisian. There's a charm of being a Parisian that I don't know how to explain. This book is one of the literature that accurately explain how it is like being a Parisian, which I can sum up to - being imperfectly perfect. 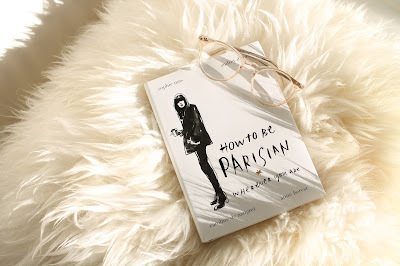 After reading the book, I think that I'm half Parisian inside. Case on point, Parisienne women don't colour their hair and embrace the style mother nature gave to them. They don't spend a decade's worth of salary on their wardrobe. They embrace their inner snob. Those are totally me. A good coffee table book to have, especially for girls who adore the French allure. As part of my périple in becoming Parisian, I have followed a few new blogs that features Parisian elements. This blog particularly caught my interest it showcase all the happenings in Paris and also the photos are so artfully taken. If you are going to Paris soon, I suggest you to explore this blog to find out the best hidden secrets of the wonderful city. It's been a long time since I showed extreme interest towards a new brand (the last time was Alexander Wang when he first appeared on Vogue). 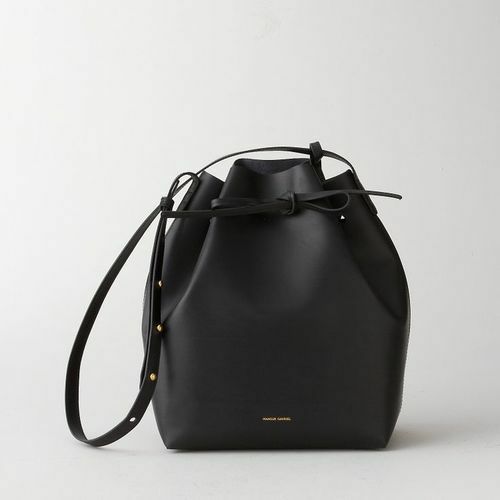 I first noticed Mansur Gavriel from their iconic bucket bag on Instagram fashion icons that I followed. It irritated me that I couldn't find the brand name and yet I am seeing it on over IG. On Black Friday, I stumbled upon it on Net-A-Porter, without a second thought, I checked out with the bucket bag on my shopping list. The bag is iconic and timeless. Just put on a white button shirt, jeans and pop the bucket bag on your shoulder, you will look chic no matter where you go. 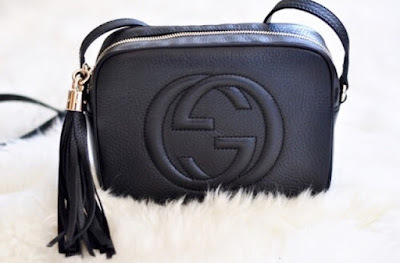 This is also another bag that worth every penny you spend. There's no beauty product in this month, but I do have some favourites on my list. But I figure out that I've already mentioned it on my travel beauty essentials post, so I'm not repeating it here again. By the way, how's 2017 treating you so far? Mine went off pretty fast. Sad to say that I didn't achieve much in January. But I'm going to buckle up on my personal plan in February. I wish everyone good health this Chinese New Year, so that you can work on anything your heart desire.